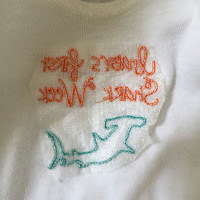 Machine embroidery is one of the most fun features of my Janome Memory Craft 9900! Since purchasing this amazing machine a year ago, I’ve been able to make some really interesting and fun projects that I wouldn’t be able to do with just any sewing machine. It allows me to make anything I want personalized and special. 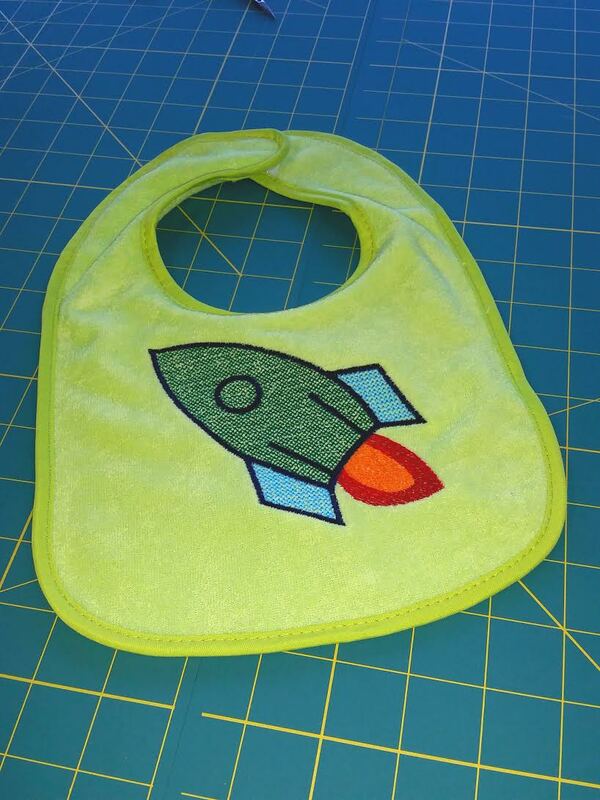 I have taken store-bought, blank baby bibs made of light terrycloth and made a lovely bundle of shower gifts in less than half an hour, and the girls always go crazy over them! I know learning the basics of Machine Embroidery can be very daunting, so I’m here to help you learn how to choose the right kind of stabilizer for different types of projects. First, let me disclaim this: These are just tips on how to use the different types of stabilizer. Not everyone’s machine or thread is exactly the same, so it may take some time for you to figure out what exactly works for you and your projects. I’m going to go through the basic types of stabilizer: tear away, cut away, and water soluble. I have figured all of this out by trial and error in my own projects and what works for me may not work as well for you, and vice versa. I've also asked a Janome Educator and my personal embroidery guru, Danielle Wilkes, for her personal tips and tricks. For these specific fabrics, it is suggested that medium weight stabilizer is used. There has been little use, in my personal experience, for light weight or heavy weight tear away stabilizer unless you're using it for different weighted fabric than those I've already listed. Again, it depends on the project you're using it for. To remove it from the pattern, you simply just tear it away gently from the fabric. It will come away from where it is not stitched into the pattern. Cut Away stabilizer is sturdier than tear away. It is usually used with fabric that is stretchy and needs more stability. Namely: knits! 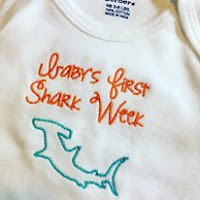 Onesies made of knit fabric are a perfect example of what to use cut away stabilizer for. Danielle has suggested using flesh-toned cut away on projects like this, that way the stabilizer does not show through the fabric when worn. There will be some instances where an in-the-hoop project will call for cut away. Because the nature of in-the-hoop projects is to stitch over specific spots over and over again as you add fabric and embelishments, sometimes you need an extra sturdy stabilizer to keep the project together while the needle punctures it repeatedly. Water Soluble, or Wash Away, is exactly what it means: it dissolves after being soaked in water for a certain amount of time or sprayed with a mist of water. The amount of time it takes depends on the brand and type, so be sure to read the basic instructions before using it. Many people prefer to use the mist-away rather than the soak-away as it takes less time to be rid of the residue left behind. However, there is no other advantage to the different ways of dissolving. I also prefer to lay one layer of the wash away film over any fabric with any sort of pile that I am working with. What does that mean? Any kind of fuzzy fabric such as towels (or anything made of terry-cloth, really) or cuddle/minky fabrics. 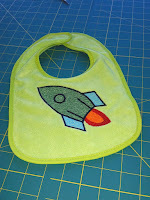 If it has any sort of fuzz-factor, really, you should place a layer of water soluble film on top before you embroider. This helps to keep the loops, hair, or loose fibers from poking through an otherwise beautiful satin or tatami stitch during the stitching process. It also keeps any animal hair from looking like a bad case of bed-head. I don’t use any sort of bonding agent to attach the solvy to the top of these fabrics, I just pet or brush the fibers so that they're all flowing in one direction, then lay it down on top and hoop it as it is; I don’t pull it tight or bond it with any spray as the bonding will rip the fuzz or loops of fiber away, making the fabric either weaker or bald. We don’t want bald minky on a baby blanket, do we? Definitely not! How do you get the stabilizer to stick to the fabric? 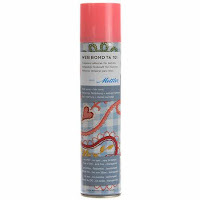 Here at Pink Castle, we prefer to use Web Bond when bonding stabilizer to fabric rather than other spray-type adhesives. Web bond releases an actual web of temporary adhesive that doesn't smell and is acid free. It doesn't release as many toxins into the air when sprayed compared to the other brands.. Sometimes it will be more appropriate to baste the stabilizer the old fashioned way, by stitching it rather than using adhesive. Also, you may not always want to bind the stabilizer to the fabric before you start stitching out your pattern. It's not an exact science, but when you find your special way of embroidery, your projects will come out beautifully and look store-bought, or even better! 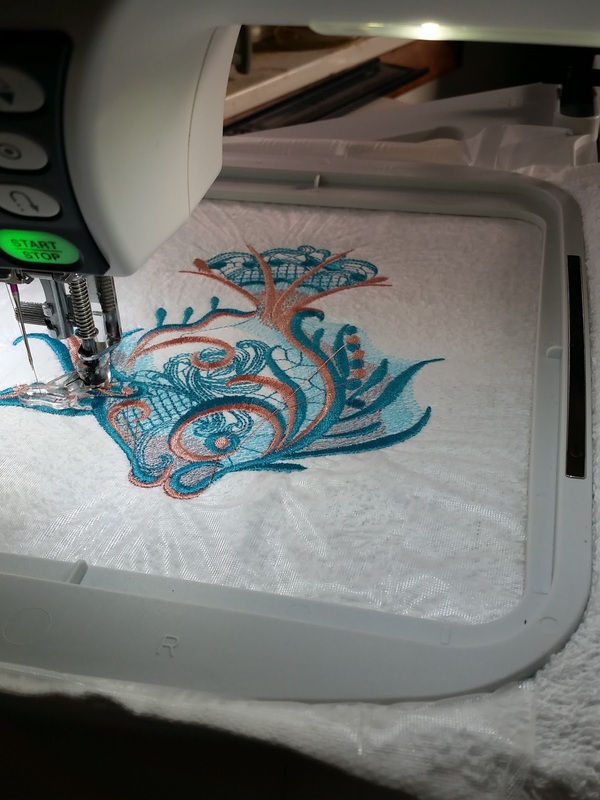 Pink Castle Fabrics carries an assortment of Janome Machines that do embroidery! Be sure to check out our Janome Machines both online and in-store. They range from embroidery only machines such as the Memory Craft 350E and the Memory Craft 400E to combination sewing and embroidery machines like my Memory Craft 9900, the Memory Craft 12000, and the Memory Craft 14000. Thank you for taking the time to read about my personal uses for the three main types of embroidery stabilizer. I hope you have found this helpful and won’t be afraid to try something new. Please let me know if you have any questions, comments, or concerns, or have your own bits of wisdom to share on the subject! E-mail Molly@PinkCastleFabrics.com with any questions. I look forward to hearing from you!